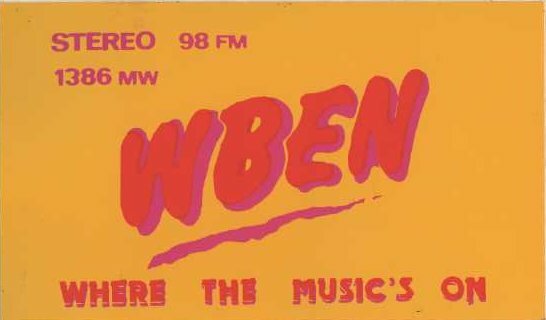 WBEN broadcast to the Cork area on 1386kHz MW during the mid 1980's, and was on the air during a visit to the city in 1986. 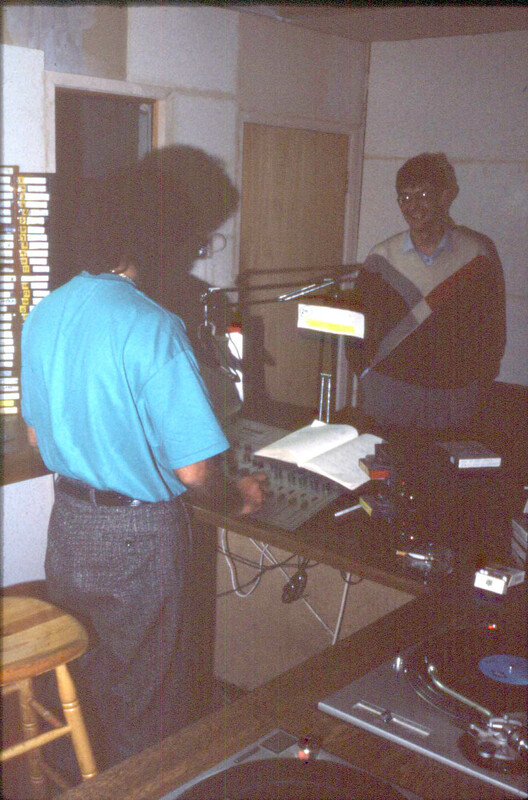 Behind the mic at the time was none other than Nick Richards, ex offshore Radio Caroline presenter. Nick was one of the four rescued in 1980 from a sinking Mi-Amigo. 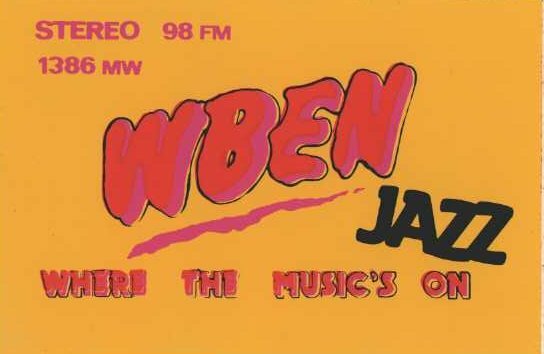 We do not really have much info about WBEN, other than the name coming from the well known Buffalo NY station that broadcasts to this day on 930kHz and can sometimes be heard in Europe. Their AM frequency was a busy one in Ireland. Carousel Navan, North Cork Community Radio, Kandy in Co Galway, and KCR Kilkenny all used the channel. And at night there was also trouble from the mega powerhouse Radio Moscow transmitter at Kalliningrad. Nick Richards on WBEN in 1986. 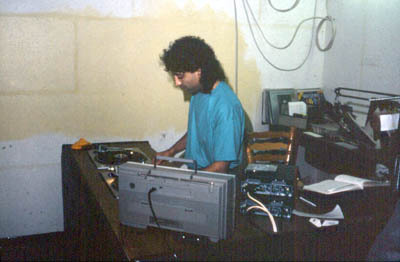 These were the only two slides that were taken sadly, by Steve West.